In a previous mission, I did put players into Soviet BMP-2s. 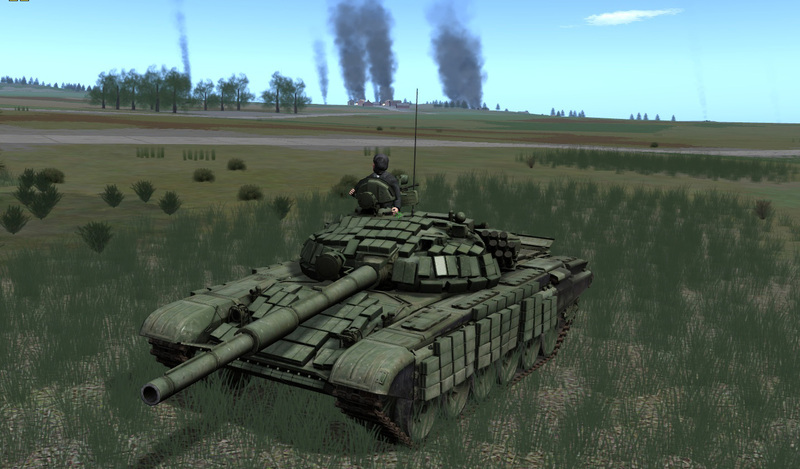 Now, I'm improving the mission and getting the players to ride T-72 tanks. Please join me in a video report showcasing gameplay of this upcoming new mission. Please go to YouTube for a slightly better resolution. Great Video. Keep it up mate. Any chance to dl the mission? Great video JC. I'm sure that I am not the only one that would love it if you put up more YouTube videos. Your blog is awesome, and having more YouTube videos in addition to the blog posts would be really great. Thanks for your kind comments, gents! TSW, I will wrap it up and pack it for posting at SteelBeasts.com. I'm a bit concerned about how ineffective the T-72's ammo was in the game.